Philippe Coutinho has been convinced to turn his back on a potential summer switch to Manchester United, it has been claimed in sections of the Spanish press. The Brazil international completed a £142million move to the Nou Camp back in January 2018, in a deal which made him the second most-expensive player of all time. However, strong speculation has surfaced claiming that Manchester United are interested in a summer move, while Liverpool have also been linked with a shock attempt to re-sign him after his struggles to adapt to life at the Nou Camp. However, with United emerging as suggested favourites to sign a player who is also being linked with Chelsea and PSG, Catalan paper Sport now claims Coutinho is no longer interested in a switch to Old Trafford, citing his ties to previous club Liverpool. Furthermore, the paper claims the way in which Coutinho was widely jeered by United fans during last week’s Champions League quarter-final first leg at Old Trafford, has convinced the Brazilian that a transfer to Ole Gunnar Solskjaer’s side would be an enormous mistake and he’d have a hard time winning over their loyalty. Regardless of the validity of Sport’s claims, Coutinho recently poured cold water on any chances of a return to the Premier League this summer. “My head is exclusively in Barcelona. Returning to England now does not fit into my plans,” he told the Sunday Mirror. Solskjaer was questioned about the chances of the club moving for the Brazilian this summer during his press conference to preview the second leg on Tuesday, but the United manager gave the interviewer short shrift. “Coutinho is a Barcelona player,” was Solskjaer’s simple response, before the journalist was steered away from asking another question over United’s reported interest. 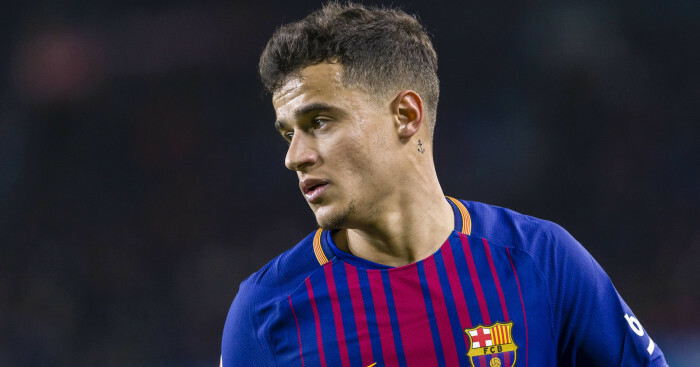 The post Coutinho goes cold on Man Utd transfer as Solskjaer responds to link appeared first on teamtalk.com.